1327 Wheelertown Road Remsen, NY. | MLS# 1801565 | Benn Realty LLC -Since 1968, and now with offices in Old Forge and Remsen to serve you better. 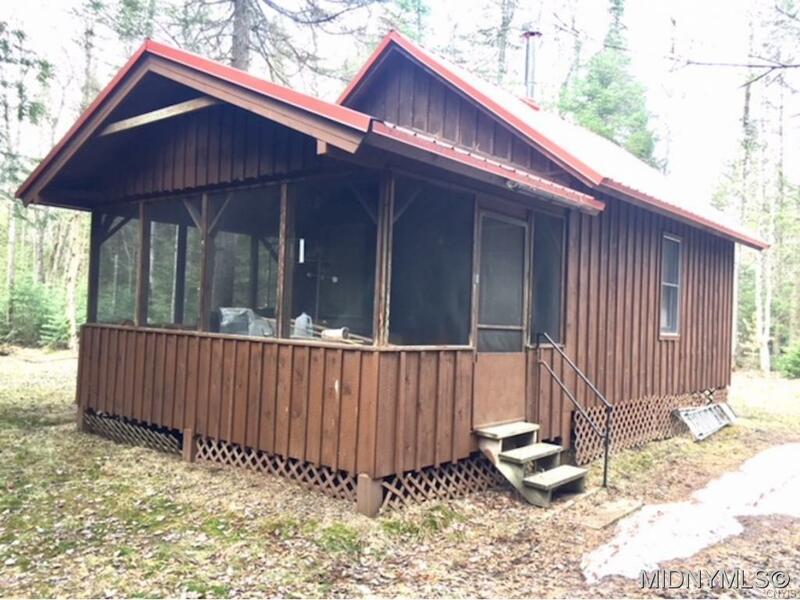 Wood frame structure with 160 sq ft screened porch tucked away in a heavily wooded, very private setting. Bedroom is in loft. Electric service recently installed. Excellent hunting. 2 tree stands. VERY seasonal. Snowmobile/snowshoe assess only in winter.